Is it sexist or subversive? 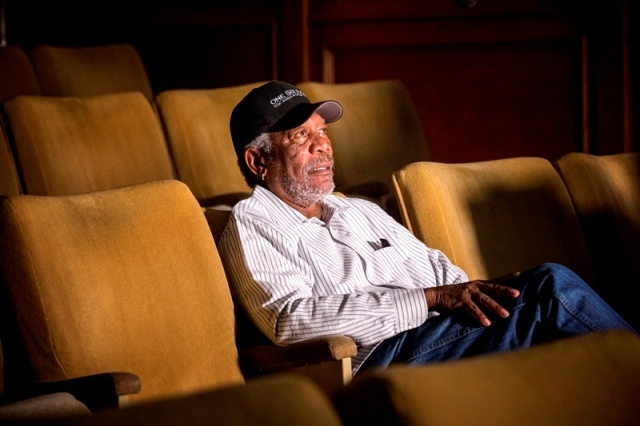 Morgan Freeman says he’s always seen The Taming of the Shrew as a country tale, one that he feels is Shakespeare’s most compelling comedy. In the next episode of Shakespeare Uncovered, Freeman takes a look at the play and explores that question, as well as what is at the heart of it all. We hear from some of the women who have played Katherine and their views about the controversial role, among them Fiona Shaw (RSC 1987), Sinead Cusack (RSC 1982), and Tracy Ullman, who was Kate to Freeman’s Petruchio in The Public Theater’s 1990 Shakespeare in the Park production in New York. That version of Shrew was set in the Old West, a location that Freeman says has more in common with Shakespeare than you might think. Guests also include writer Germaine Greer, Dr. Farah Karim-Cooper, Head of Courses & Research at Shakespeare’s Globe, and Oxford University Professors Jonathan Bate and Laurie Maguire who offer insightful comments about the play. The story is often uncomfortable for audiences in this century because it is viewed through a different social context than it was in Shakespeare’s time. Maguire talks about how polarizing interpretations of the play can be and how pace affects the way the comedy plays. We also learn what Shakespeare might really be saying about women (and marriage), and the significance of Katherine’s final speech, the longest of any of the characters in the entire play. There are clips of Richard Burton and Elizabeth Taylor, Raúl Juliá and Meryl Streep, and John Cleese, as well as Julia Stiles and Heath Ledger from 10 Things I Hate About You, a modern film adaptation of Shrew. Actors explore the darker side of Petruchio’s Act III, scene 2 speech in a rehearsal by members of the Globe in London, and later, the Royal Shakespeare Company takes a gender-reversed version of the play to a school near where Shakespeare grew up to see how children interpret this very adult piece. Freeman looks at the prank involving Christopher Sly, which is the framing device Shakespeare has written to introduce the play, and how Sly might be a representative of the author himself. The Bianca subplot is also explored as is why Shakespeare might have chosen to write a character like Kate to begin with. He pokes fun of a great deal but it is important to note that Shakespeare doesn’t at all make a mockery of the shrew. He has written an unconventional, feisty, irresistible female character for a maverick who is also an unconventional male as well. Ultimately Freeman says the play comes down to a leveling; there is no top dog in a marriage. It’s about two outsiders who are fortunate enough to find each other. “A man chases a woman until she catches him,” he grins. Produced by Blakeway Productions, 116 Films and THIRTEEN Productions LLC for WNET in association with PBS, Sky Arts and Shakespeare’s Globe. For more information and to view previews of upcoming episodes of Shakespeare Uncovered, visit www.pbs.org/wnet/shakespeare-uncovered.